Want to take your smartphone photos to the next level? 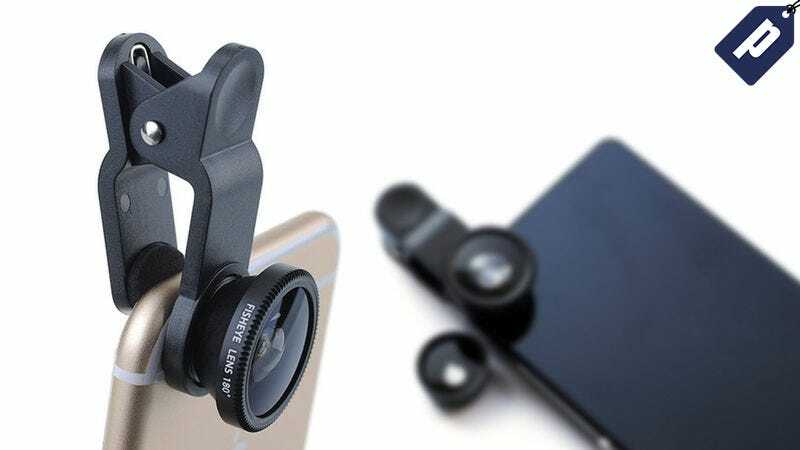 This Universal 3-in-1 Clip-On Lens Kit easily attaches to any smartphone or tablet so you can take professional looking fish eye, wide-angle, or macro shots from any device. It retails for $30, but right now it’s just $11.99 + free worldwide shipping. Unlike other lens kits that require an adhesive magnetic ring, this clip-on lens kit is easy to take on and off without damaging your device. It comes with a carrying case so you can take it anywhere and always be prepared to snap pro quality pictures. This complete lens kit retails for $30, but you can grab one today for just $11.99 + free worldwide shipping. Hit the link below to get yours.